Baths don't relax me but the total opposite. I guess I naturally avoid water. "Tear your hand away" gee, anyone who got a right mind ain't doing that?? but seriously though, ancient people have those? Like sour cream? 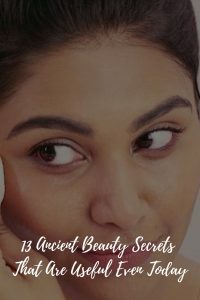 I read the title as "13 Asian Beauty Secrets" ?? "egg mask is very beneficial to your skin"
"get rid of physical strength"???? They must have meant 'strain'.